Rubber Mulch - Legends Landscape Supply Inc. Sometimes you want the beauty of natural mulch in your garden but you want to avoid the hassle of remulching every year. Our environmentally friendly rubber mulch from RyMar addresses many of the challenges and hassles home owners face when using wood mulch. How does it stack up to wood? Spread resistance - With a greater weight to size ratio and the natural friction between pieces, rubber mulch will not blow away under strong winds and won’t float away in heavy rainfall or spring melt conditions. Weed control – Weeds are unable to gain footing between the heavy and densely packed rubber mulch. Weathering – Some rubber mulch products will maintain their day-1 appearance for up to 10 years. Wood mulch deteriorates significantly over the course of a single summer. 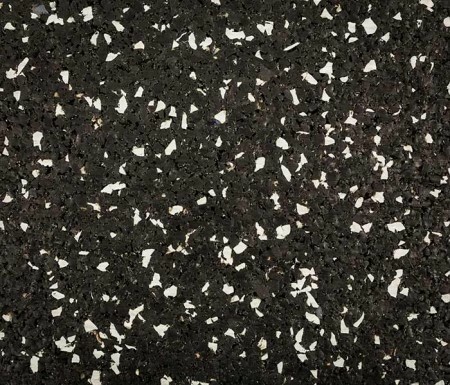 Our RyMar rubber mulch comes in five unique colours, including black, brown and redwood, to simulate natural wood chips, with blue and green simulating the appearance of decorative stone. These eco-friendly products are suitable for all kinds of garden installations. We also carry all the accessories necessary to properly utilize rubber mulch and other synthetic turf products. Adhesive glue helps keep bits and pieces from drifting apart over time, and seaming tape helps create uniform and invisible seams between garden and turf edges. If you want to know more about how these or any of our other products can work on your property, contact our knowledgeable staff today.